Android is known for its customizability and freedom, therefore it's not a surprise that it supports a variety of theming methods. Unfortunately, the vast majority of themes are either low quality or incomplete, which is a natural side effect of what happens when everyone is given a chance to contribute. 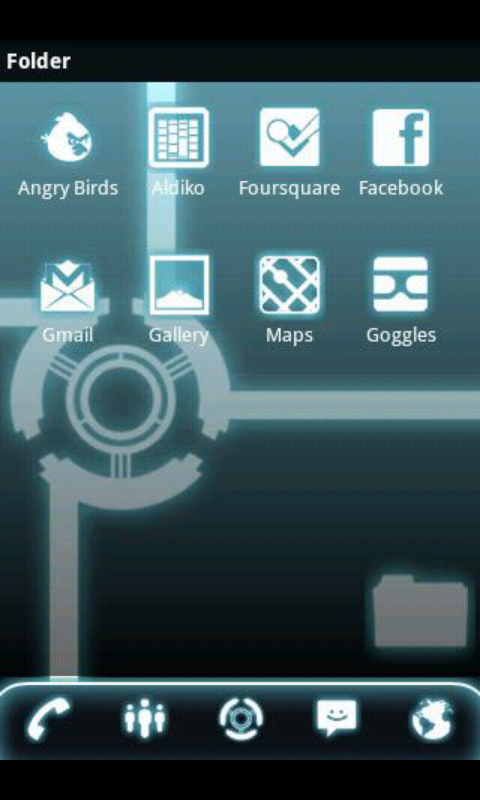 When a truly great theme comes along, one worthy of changing the default launcher, it needs to be given credit. 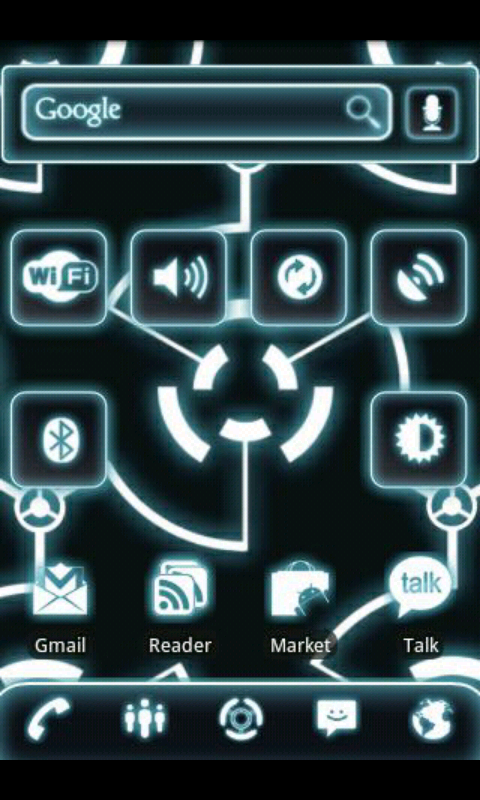 And the Tron Legacy Pro theme by Mariux is definitely one of those themes. 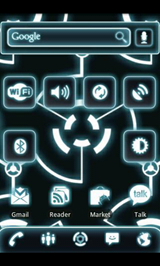 The theme doesn't just change the wallpaper or a few icons - it is what the author describes as "ultra-detailed." 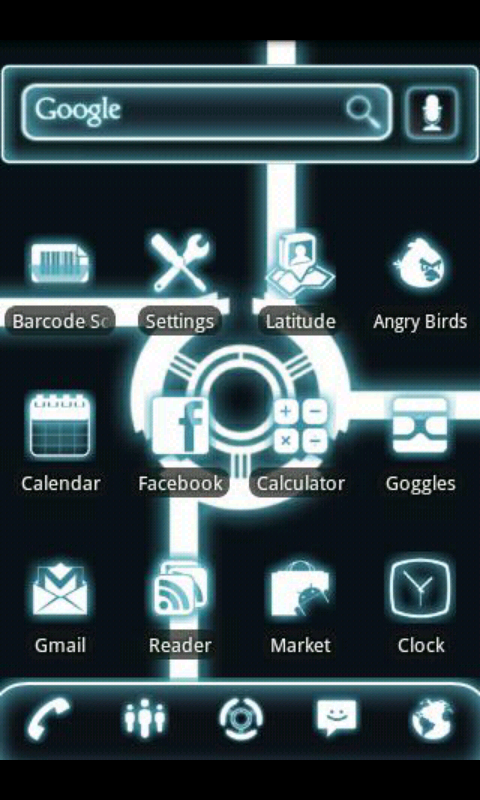 What this means is Tron's infamous neon effect was actually studied by Mariux to match the movie, a ton of icons have been changed, including popular applications outside of what ships stock (Angry Birds, Aldiko, Foursquare, Facebook, Goggles, etc), and even widget styles match the overall theme. Tron Legacy Pro for ADW is hands down the best Tron theme for Android and is likely one of the best Android themes overall. Theme creators, take notes. 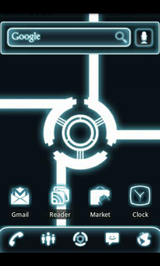 Wallpapers, specifically created for this theme, can be found here. Alternatively, if you are just looking for the theme description, proceed to Appbrain. Spectral Souls By IdeaFactory/HyperDevBox Arrives In The Android Market, Weighs A Whopping 1GB!